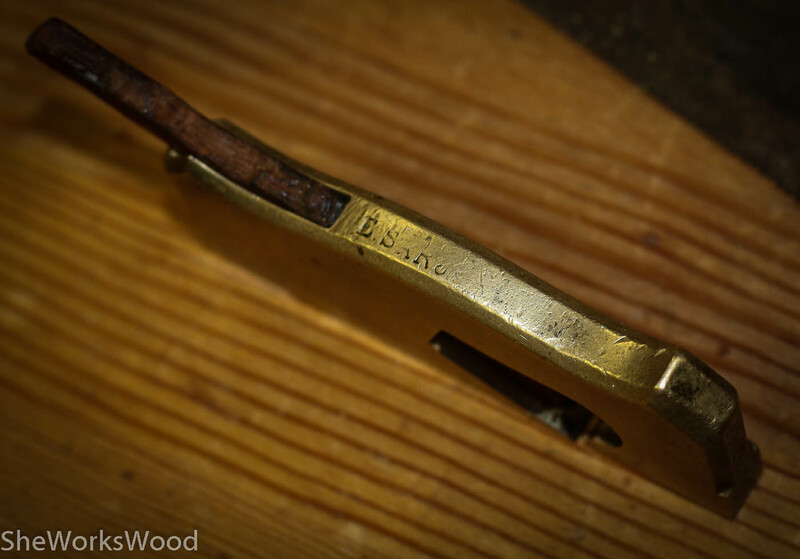 Below are Ernest Sarjeant’s 8″ dovetail saw and 3/8″ wide bronze shoulder plane. Both are probably my favorites out of the collection, although that might change once I start using the carving tools in earnest (did you see that .. what I just did .. play on words .. tee hee 😀 ). 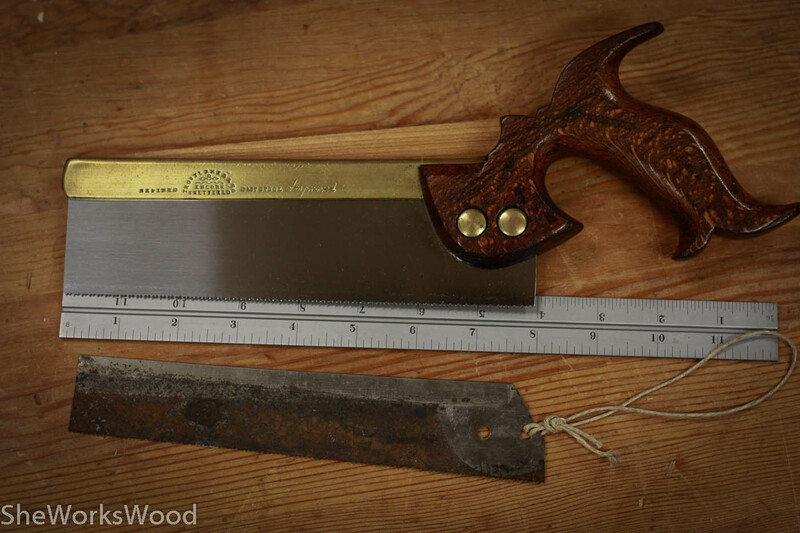 Any way, I included some of the details that make both these working tools special to me. Mark @ Bad Axe Tool Works set me up with a new plate and Konrad at Sauer & Steiner provided the new blade for the small shoulder plane. I couldn’t be happier with both products. 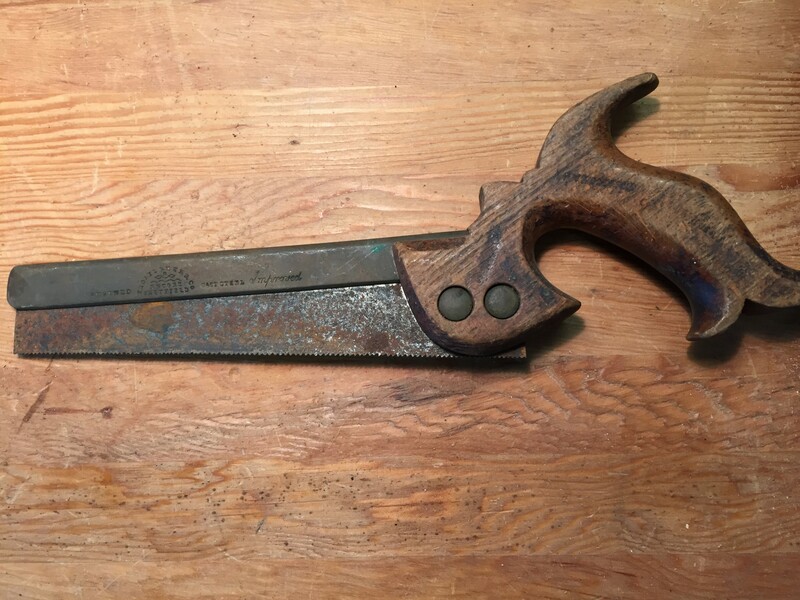 The saw plate is beautiful and perfectly fit. 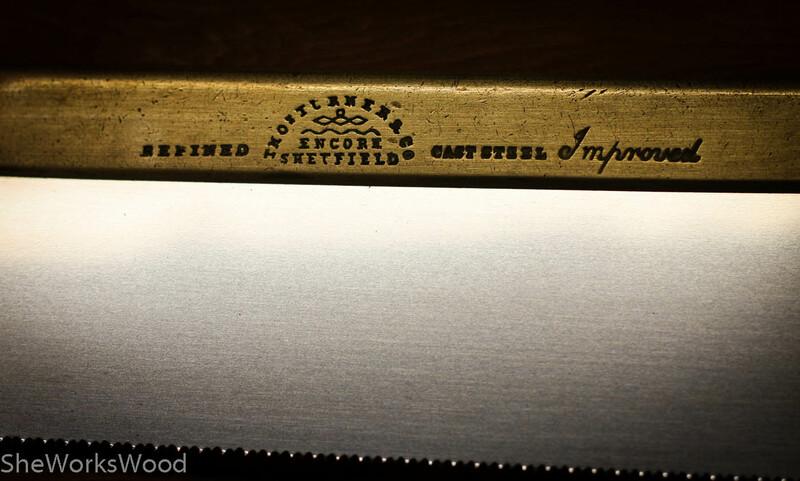 And the shoulder plane blade is a masterfully made with razor sharpness. A close up of the bronze back. 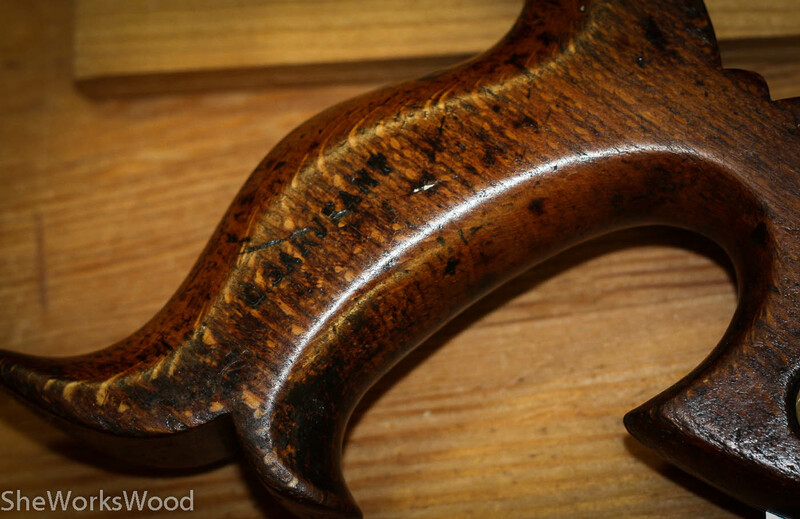 The handle looks like beech to me. 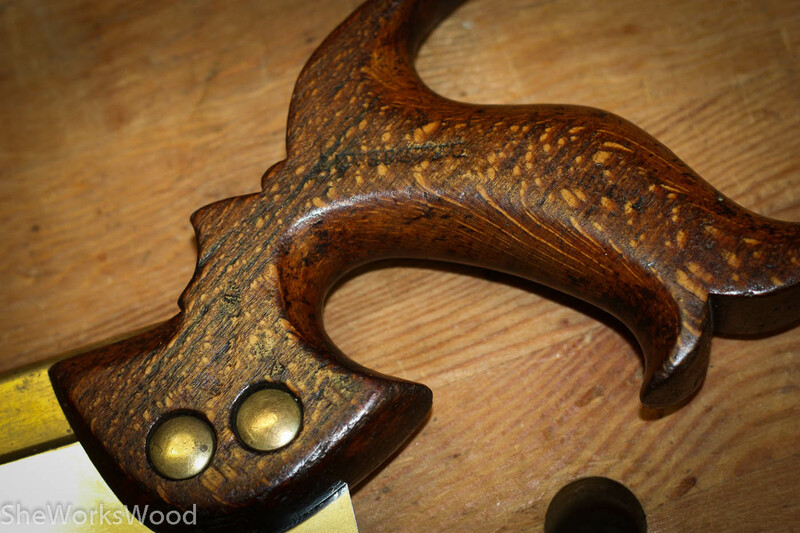 After I cleaned it and soaked it in boiled linseed oil, you can really see the stamp. Ernest’s stamp on the top. 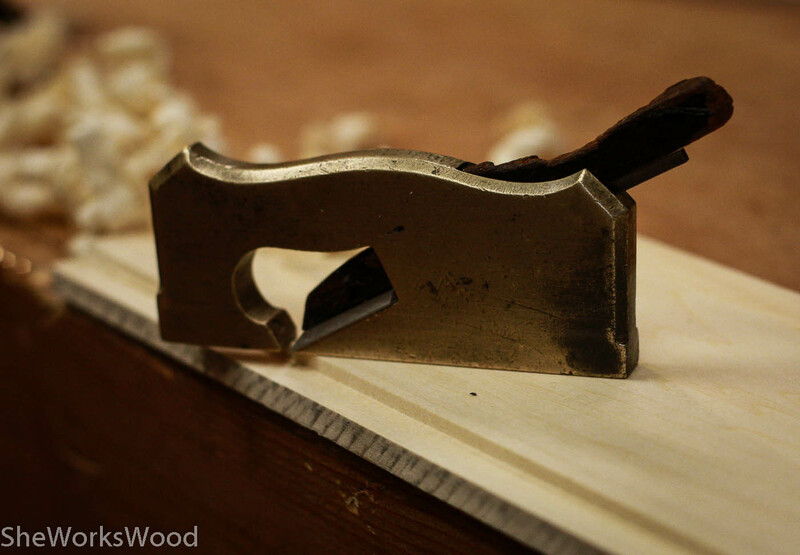 The saw and plane look great. I’ve enjoyed watching you progress through the tools. 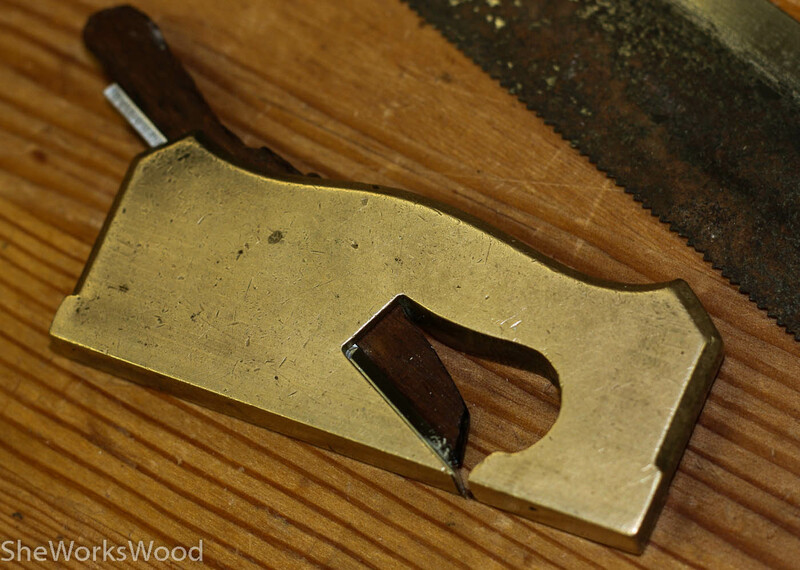 The original plate on the dovetail saw is interesting. That’s a lot of taper from toe to heel. Nice work! 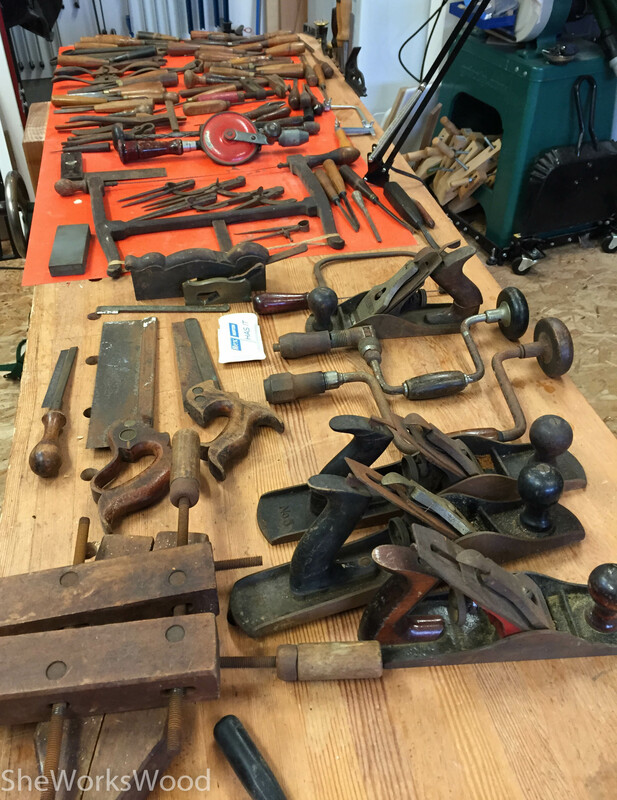 It’s great to restore old tools!